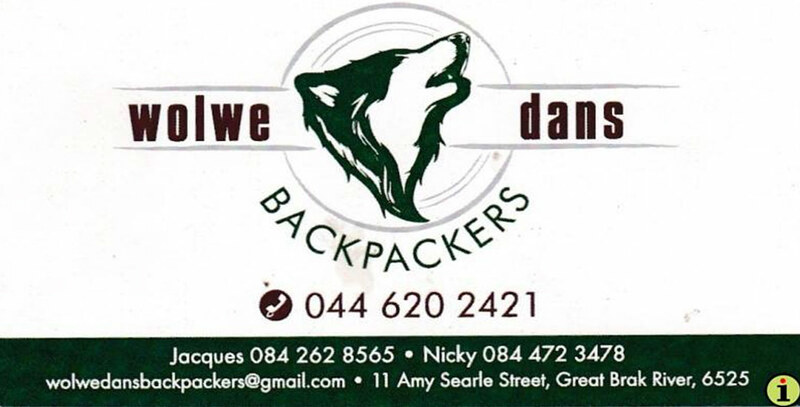 Wolwedans B&B and Backpackers is situated in the heart of town, within easy walking distance of all shops. Cycle friendly and pet friendly by arrangement. Secure shaded car port parking is available on the premises, with linked ADT armed response as added piece of mind. 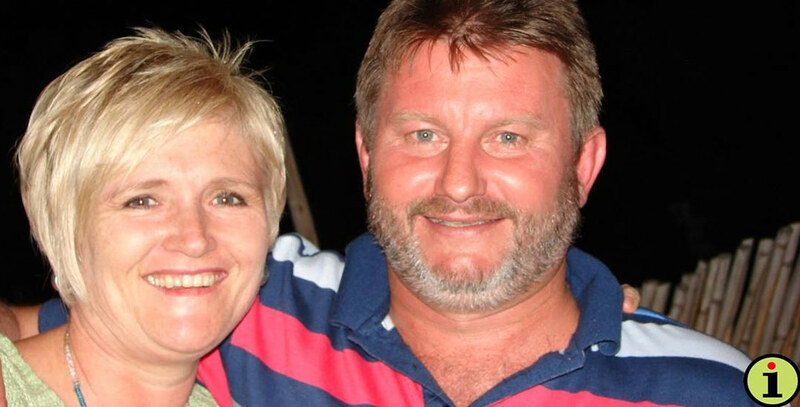 Charles will happily clean/wash your vehicle at a fee of R35. 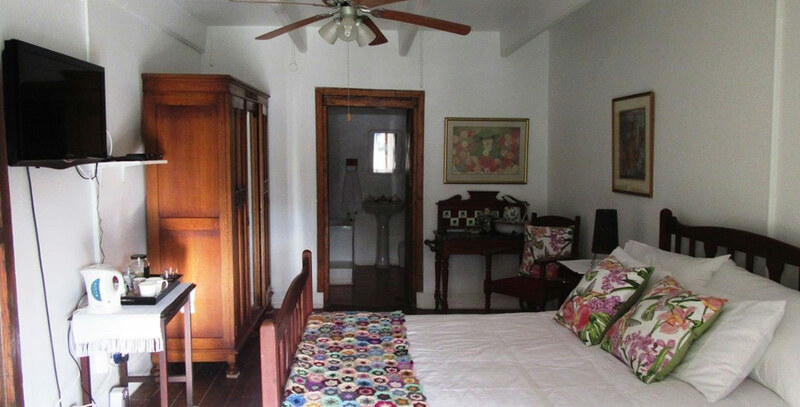 There are three well-equipped en-suite bedrooms with coffee/tea facilities, fridge/freezer, DSTV and electric blankets. Towels and linen are supplied. One of the three well-equipped en-suite bedrooms with continental breakfast available on request. Rooms have coffee/tea facilities, fridge/freezer, DSTV and electric blankets. Towels and linen supplied. 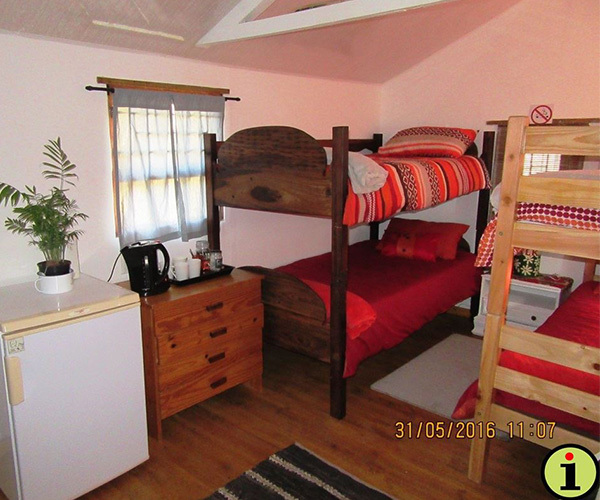 Backpacker Dorm option available in the restored Wooden Cottage. 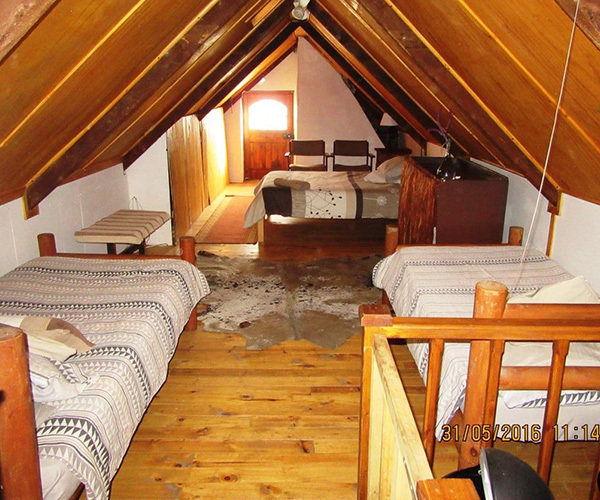 Backpacker Dorm option in the Loft Room. 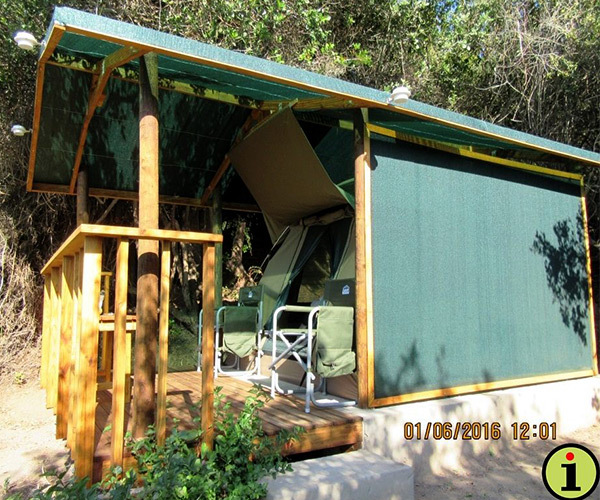 For the more adventurous type – accommodation in a Safari Tent on a wooden deck. 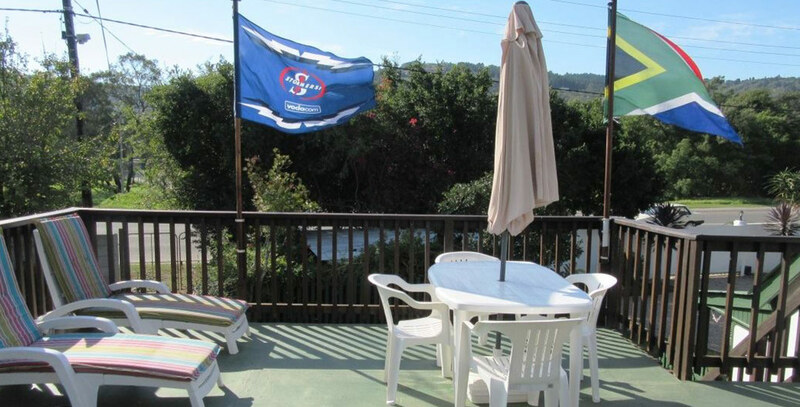 Knysna Loeries are regular “visitors” that should be sighted from the deck during late summer/autumn. 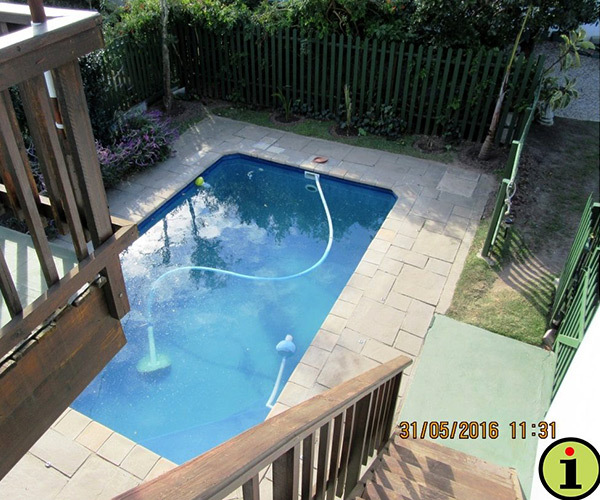 Here you will have your own private BBQ area with all necessary utensils supplied. 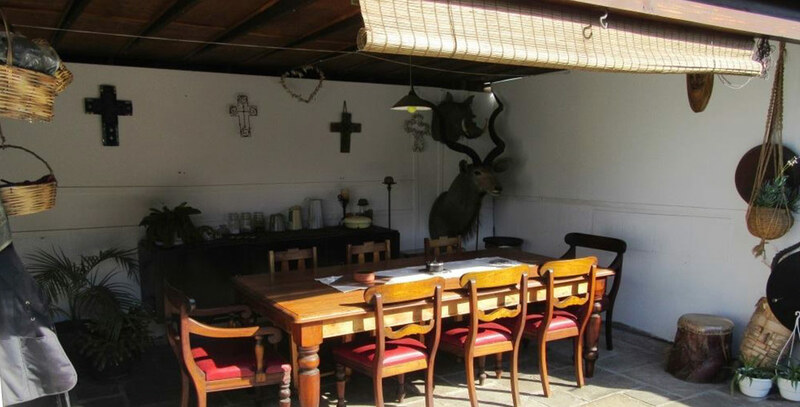 Enjoy your breakfast and BBQ next to the swimming pool with its own dining area. A separate wooden deck with cooking facilities, BBQ, DSTV, bar area, fire place, couches, deck dining room and another Safari Tent is part of the planning to be ready by December 2016. Continental breakfast available on request @ R30 – a self-help breakfast (muesli & cereals, fresh fruit, toast, jam, cheese, cold meats and coffee/tea). BBQ packs are also available. Your friendly hosts – Jacques and Nicky!